On Silver Age—Bob Mould’s fantastic solo record from last year—album opener “Star Machine” is a wry commentary on careerist rockstars, but in the hands of director Jon Glaser (Delocated), the video is a wry commentary on Jon Wurster’s personal demons. 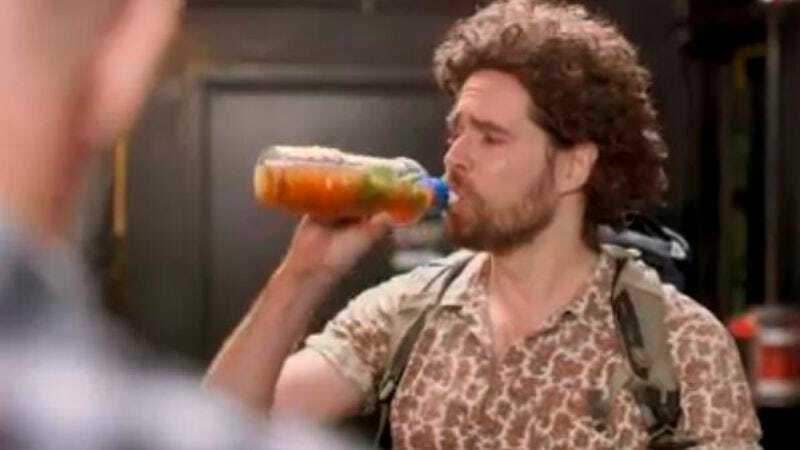 Sorry, “Jon Wurster,” who’s swilling a blood mary in a water bottle and wearing a bad wig to boot. The video, which premiered at latenightwithjimmyfallon.com today, shows the Mould band’s attempt at a “bring your kid to work” day, only to have it wrecked by Wurster’s destructing personal life. Maybe it’s time Mould bring back Brendan Canty on drums?